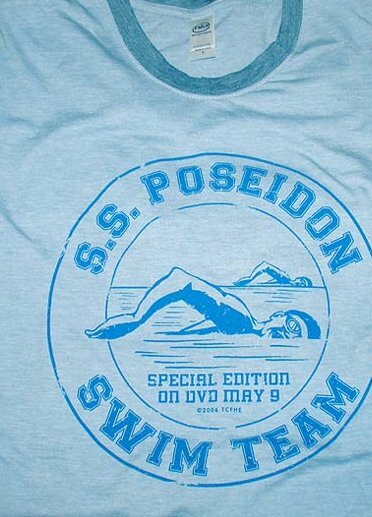 A promotional t-shirt for the DVD release of "The Poseidon Adventure'. 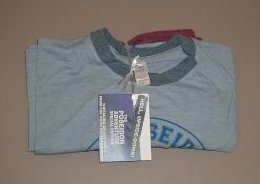 Shirt is a super-soft vintage look, ringer blue tee. 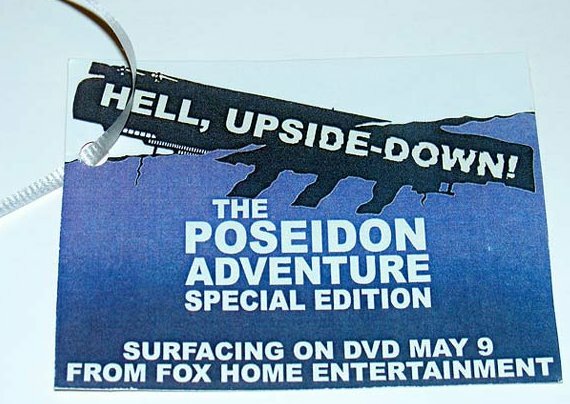 Includes double sided full color promo card with info on DVD releases.